Find some good music on a second computer, this is gonna be a long project so you will need something to keep you cool and relaxed. I will post pictures and outline my experience with the steps on this guide but this is the detailed guide to follow, it includes a great picture of the screw and connection locations. I used a second computer to keep the guide up and referred to is constantly. 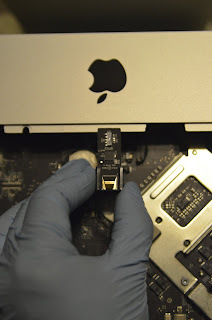 The first thing the guide will tell you to do is remove the memory, this is a simple step and it helps when putting the motherboard back together. Next it will tell you to remove the glass with a suction cup. I highly recommend using rubber gloves throughout this project to prevent fingerprints or oils getting on the glass or screen. Once you got your gloves on simply place 2 suction cups on the glass and pull straight up. It doesn't take a lot of force to remove the glass, just keep it the same on both sides to prevent it from flexing too much. The next thing it will tell you to do is remove all the screws around the display, just be careful not to lose any screws there are a lot of screws. All of these are the same length and type so they can be stored together and set aside once removed. Next you have to lift the screen (just a few inches) and disconnect the cables that connect the LCD to the motherboard. Lifting the LCD was harder then I thought, you had to pry it up a little with the screwdriver and then get your finders under and lift up slightly while being careful not to pull so far that the cables tug off the motherboard. It helps to have a lot of good light. Once you get it removed, set it aside somewhere safe. Next you will have to take all the screws ff the motherboard and disconnect the cables. This part will take you some time. Be careful to keep the screwes sorted because they are all different lengths. Just take your time and this part will be easy. None of the connections gave me a lot of trouble but if you pull too hard this is where you can do some real damage. Next you can disconnect and remove the HDD and DVD drive, these were simple to remove, no issues here. 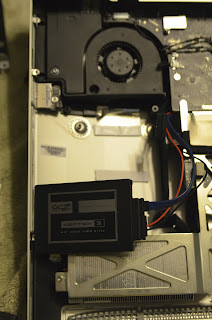 You need to lift the motherboard up to get to the SATA connector, carefully lift the motherboard up and out JUST ENOUGH to get to the connector. 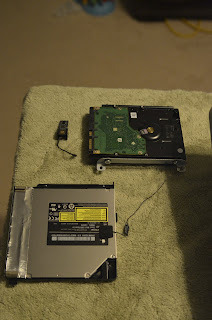 Once you can see the connector plug in your SATA cable and run it over towards the DVD drive bay. Once routed over it is time to put the motherboard back in place. This was the hardest part of the whole process. It took me about 20 min to get it lined back up again. 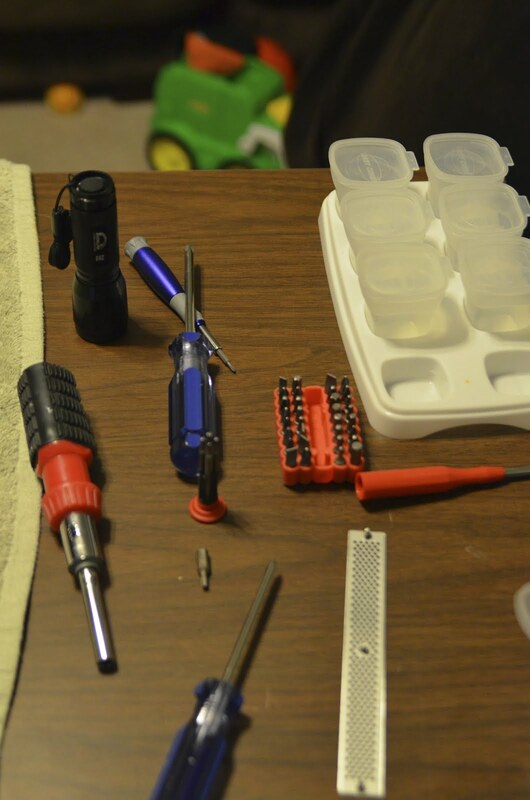 Take your time and get the screw posts all lined up with each other before trying to screw anything together. I found it easier to stand the iMac back upright to aline everything then lay it back down to acrew it back together. 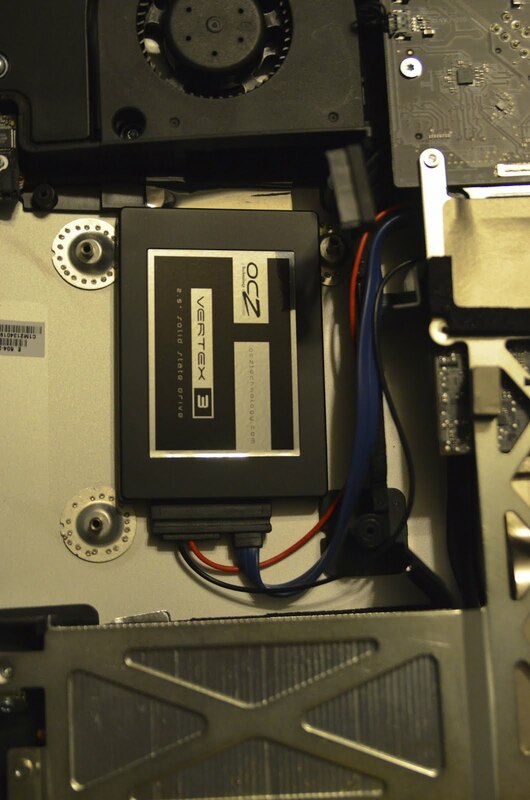 Once you get the motherboard screwed back in and all the connectors plugged back in you can mount your SSD. I used double sided tape as it is outlined in the guide. 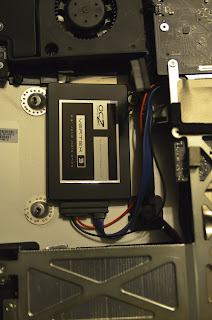 I was skeptical at first but it really will hold the drive, once you put the DVD drive back in it will assist to hold the drive in place. Just cut 2 strips and attach them to the chassis then place the SSD on them and mount the DVD drive. Now put the LCD back in, reconnect it, screw it down and reset your glass. You are almost done! Don't forget tho reinstall your memory before booting it up. Once I verified the drive worked in the existing OSX install (on the other drive) I rebooted and reinstalled the OS on the SSD. 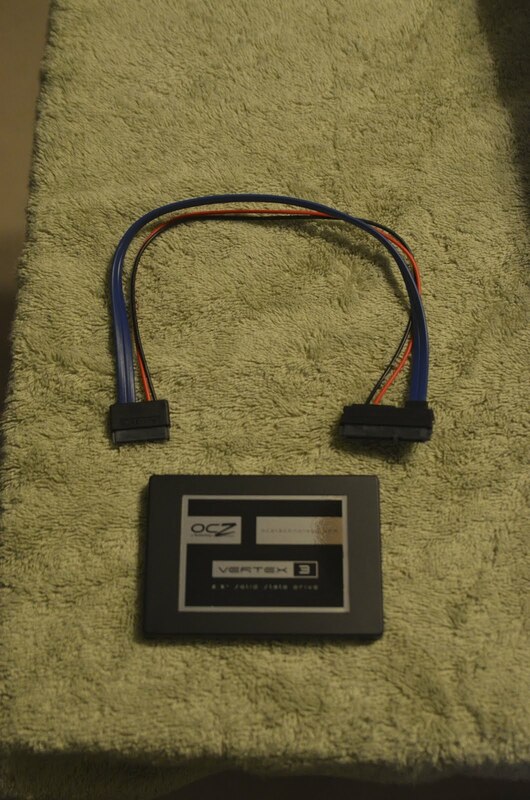 There are NO fan issues with this install since you are not removing the old drive, you are just adding a second drive. Even if you are never going to use the other drive this method is much easier and less issues then replacing it. Good luck, have fun and BE CAREFUL!